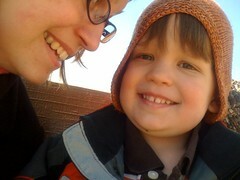 orinda5: I Heart Spring Break! I never seem to go out of town for Spring Break... but that doesn't mean that I love it any less. 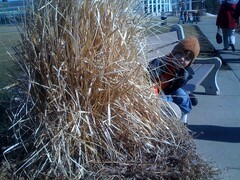 Today the Bud and I took off for the local "free" zoo. If you live around here, you know that there is the free zoo and the spendy zoo, and the free zoo fit our needs for the day perfectly. Technically it's still winter season for the zoo, so some of the animals were gone, and most of the animals were in their indoor habitats - but that just meant that we were not fighting the crowds. 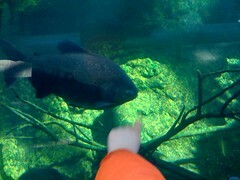 If you ask him, the Bud says his favorite animals were the snakes, but we spent the most time by far looking at the fish. 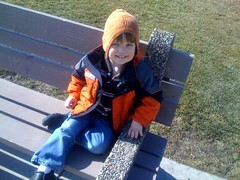 The Bud also had a fascination with the benches around the Zoo. We needed to test out as many as possible. I know it's been weeks since my last post... I haven't been feeling the blog love as much lately. Only for my own blog - I have really been enjoying posts by all of you. Here's a quick catch up on on the last month or so. I decided to buy myself a new toy. It arrived unfinished and Mr.5 did a fabulous job of finishing it for me. 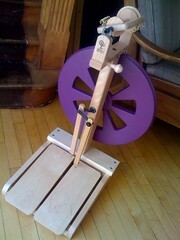 He even recommended the paint color for the wheel - "kimono violet". I will take some pictures of my latest spinning soon. I was inspired by ADD Knitter's Ishbel, so I started one of my own with this wonderful stuff. Yet another thing that needs some photos. Lately though I have been working on this old project. It's funny how some WIPs just rise to the surface unexpectedly. 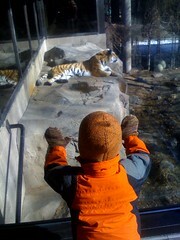 Was the zoo Como Park zoo? you'll totally love it. How much roving have you acquired?? 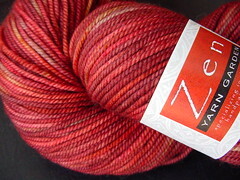 Oh great call on the Ishbel yarn!! I also have an almost-finished Anniversary cowl that is A-M-A-Z-I-N-G!!! Is spinning really the dark side? I have no clue how it's done but good for you and have fun with your new wheel.